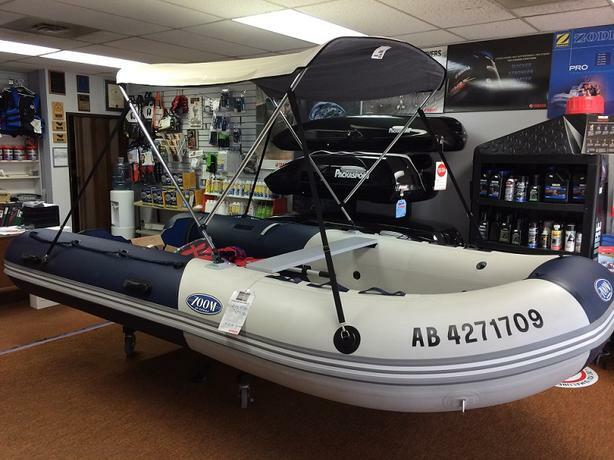 Inflatable boat Zoom 400SP Alu (2014) + Outboard motor portable Yamaha F20SMHA (2014) + Launch Wheel. Boat is in great condition with Aluminium floor; motor few scratches from transportation on Truck bed; used 8 weeks during camping. The boat comes with 2 bags for an easy storage; boat + motor can be easily carry on the back of the truck and ready in 30m.